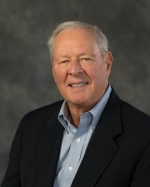 Mr. Orthwein, a co-founder of our Company, currently serves as Executive Chairman of the Board, having been appointed to this position in August of 2013, and having previously served as Chairman and Chief Executive Officer from November of 2009 to July of 2013. Mr. Orthwein has served as a Director of our Company since its founding in 1980, Chairman of our Company from 1980 to 1986, Vice Chairman of our Company from 1986 to November of 2009, and Treasurer of our Company from 1980 to November of 2009. Our Nominating and Corporate Governance Committee and Board believe that his extensive experience with our Company and the industry make him an asset to our Board. Mr. Martin has been with our Company since 2001 when we acquired Keystone RV where he worked since July of 1998. Mr. Martin currently serves as President and Chief Executive Officer. From August of 2012 to July of 2013, Mr. Martin served as the Company’s President and Chief Operating Officer. Mr. Martin previously served as President of our RV Group from January of 2012 to August of 2012. 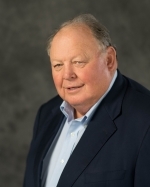 Prior to becoming President of our RV Group, Mr. Martin was President of Keystone RV from January of 2010 to January of 2012 and Executive Vice President and Chief Operating Officer of Keystone RV from January of 2007 to January of 2010. Mr. Martin has held various positions with Keystone RV, including Vice President of Sales and General Manager of Sales. Prior to joining Keystone RV, Mr. Martin held positions at Coachmen Industries, Inc., a former recreational vehicle and manufactured housing company. Our Nominating and Corporate Governance Committee and Board believe that his extensive experience with our Company and the industry make him an asset to our Board. 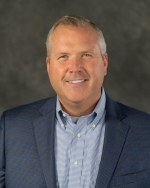 Mr. Graves, who became a Director in December of 2010, is the Chief Executive Officer of Motorsport Aftermarket Group, a leading manufacturer, distributor, and on-line retailer of aftermarket products for the powersports industry. He joined this privately-held group in January of 2015. Previously, Mr. Graves served as the President of Brunswick Boat Group, a division of the Brunswick Corporation, an NYSE company. He was with Brunswick from 2005-2014. 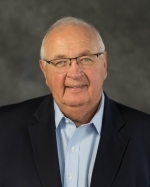 Prior to his time with Brunswick, Mr. Graves was President of Dresser Flow Solutions, a maker of flow control products, measurement systems, and power systems, from 2003 to 2005, and before that he was President and Chief Operating Officer of Federal Signal Corporation. Our Nominating and Corporate Governance Committee and Board believe that his extensive management experience in a related consumer durable business whose products are distributed through a dealer network makes him an asset to our Board. 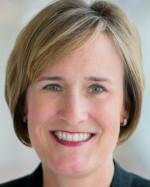 Ms. Huntington, who became a Director in October of 2018, served as the Chief Executive Officer of Philips Lighting Americas, a leading manufacturer of commercial and residential lighting solutions, until January of 2018, after serving as Chief Executive Officer of Philips Lighting, Professional Lighting Solutions, an assignment based in Amsterdam, The Netherlands. Prior to joining Philips Lighting in April 2013, Ms. Huntington held senior leadership positions with Schneider Electric over the course of a 22-year career, including Chief Operating Officer of Schneider Electric North America and CEO of subsidiary, Juno Lighting Group. Our Nominating and Corporate Governance Committee and Board believe that her extensive experience in multinational operations makes her an asset to our Board. Mr. Jones, who became a Director in August of 2014, is the President and Chief Executive Officer of Oshkosh Corporation. Mr. Jones joined Oshkosh Corporation in 2005 and held senior leadership positions in the Fire & Emergency Segment until July of 2007 when he became President of Pierce Manufacturing, Inc. From September of 2008 to September of 2010, Mr. Jones held the position of Executive Vice President and President of the Fire & Emergency segment. 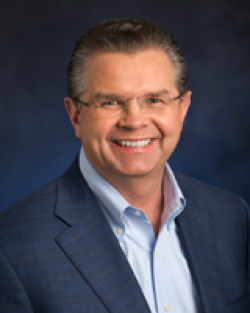 From September of 2010 to August of 2012, Mr. Jones led the Access Equipment Segment as Executive Vice President and President, the largest business segment of the company, until his appointment to President and Chief Operating Officer. He was named President and Chief Executive Officer in January of 2016. Our Nominating and Corporate Governance Committee believe his experience in specialty vehicles and management experience make him an asset to our Board. Mr. Klein who became a Director in December 2017, is the Chief Executive Officer of Fortune Brands Home & Security, Inc., a leading manufacturer of home and security products. 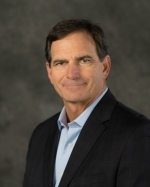 Mr. Klein joined Fortune Brands, Inc. in 2003 and held corporate strategy, business development and operational positions until he became CEO of Fortune Brands Home & Security in 2010. Previously, Mr. Klein held key strategy and operating positions at Bank One Corporation and also served as a partner at McKinsey & Company, a global management consulting firm. Mr. Klein spent his early career in commercial banking, at both ABN AMRO and First Chicago. Our Nominating and Corporate Governance Committee and Board believe that his management experience as chief executive officer of a public company, as well as his treasury and consulting background make him an asset to our Board. Mr. Kosowsky, who became a Director in March of 2010, is a certified public accountant who since 1985 has conducted business through his own advisory firm. The firm provides services that include business and intellectual property valuations, forensic accounting and financial analysis, and alternative dispute resolutions. From January of 2003 to February of 2010, Mr. Kosowsky served as the Chairman of the board of directors and Chairman of the audit committee for ON2 Technologies Inc., a U.S. based video compression software company, which was acquired by Google, Inc. On September 17, 2016, Mr. Kosowsky became a National Association of Corporate Directors fellow. In June of 2017, Mr. Kosowsky joined the board of BlackRidge Technology International, Inc., a cyber security software company and serves as the Lead Director, Chair of the audit committee, and a member of the compensation and nominating and governance committees. Our Nominating and Corporate Governance Committee and Board believe that his extensive accounting experience and his financial expertise and training, which qualify him as an “audit committee financial expert”, make him an asset to our Board. Mr. Suwinski, who became a Director in July of 1999, joined the faculty of the Samuel-Curtis Johnson Graduate School of Management, Cornell University in July of 1996 and served as its Clinical Professor of Management and Operations, where he co-taught the Strategic Operations Immersion course, as well as courses in Business Strategy and Strategic Alliances. Mr. Suwinski retired from the faculty in June of 2016. 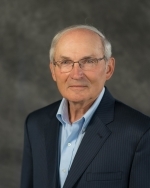 Starting in 1965, Mr. Suwinski served in a variety of managerial roles at Corning, Incorporated, a global manufacturing company. From 1990 to 1996, Mr. Suwinski was Executive Vice President, Opto Electronics Group at Corning, Incorporated and, from 1992 to 1996, Mr. Suwinski was Chairman of Siecor, a Siemens/ Corning joint venture. Mr. Suwinski is currently a director of ACI Worldwide, Inc. and formerly a director of Tellabs, Inc. Mr. Suwinski served on the board of directors of Ohio Casualty Group, Inc. from 2002 to 2007. Our Nominating and Corporate Governance Committee and Board believe that his management experience and his significant public company board experience make him an asset to our Board. 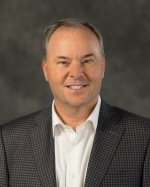 Mr. Ziemer, who became a Director in December of 2010, was the President and Chief Executive Officer at Harley Davidson, Inc. from 2005-2009 and served as a director for that company from 2004-2009. Mr. Ziemer joined Harley-Davidson in 1969 and held a series of positions in manufacturing, engineering, accounting, parts and accessories, and finance. From 1991 until his election as the President and Chief Executive Officer of Harley-Davidson in 2005, he served as the Chief Financial Officer. Mr. Ziemer also served as President of The Harley-Davidson Foundation, Inc. from 1993 to 2006. Mr. Ziemer is currently a director of Textron, Inc. Our Nominating and Corporate Governance Committee and Board believe that Mr. Ziemer’s substantial management experience as a chief executive officer of a public company and his financial expertise and training, which qualify him as an “audit committee financial expert”, make him an asset to our Board.